michael ann made. 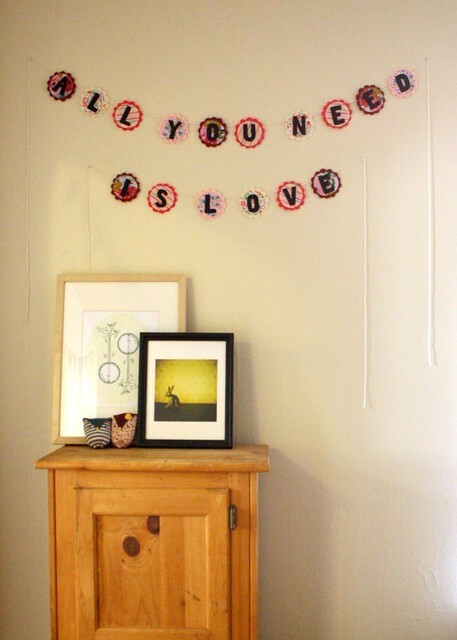 : valentines banner diy! and would love to share with you how i did it! this is a great pattern for banners for any occasion. yarn to hang them up! step one - trace something circular to make two patterns. and add little petals to the other to make the scalloped edge of the felt pattern. cut out both patterns and use them to cut out all your fabric. 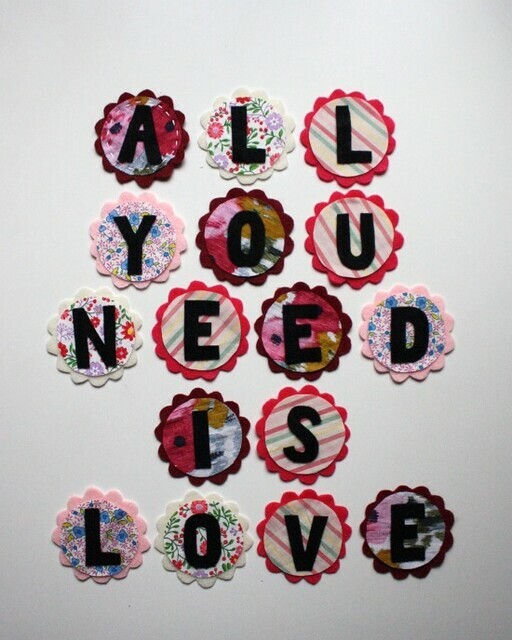 step two - cut out all your letters and get everything arranged. step three - sew the fabric circles onto the felt with a running stitch. i hot glued the letters onto the little circles after they were sewn. and after laying them out and spacing them the way you want, flip them over. hot glue the yarn to the backs about where you marked them. then find a spot to hang it up and enjoy your work! This is so very lovely! Your fabric choices and the scallops are perfect. You never cease to amaze me Michael. Love it. You're too much for me righ now....very clever idea. I love it.